From a few years ago (to say the least) you had buses terminating at both ends of the Blackwall Tunnel. On the north side, buses tended to show Blackwall Tunnel, although Poplar, Blackwall Tunnel was also available (and was always shown on the 108/A which went through the tunnel) but, on the south side, the 185 showed Greenwich, Blackwall Tunnel (changed later on to Blackwall Tunnel, Delta Metal Works) and the 108B Blackwall Tunnel, South Side, thus showing that those routes didn't go North of the river. Speaking of the 108A, short journeys terminated at Rochester Way, Well Hall Road, which was exactly the same place as Well Hall Roundabout on the 161! This is more so incorrect but 76 for “Waterloo” when it actually terminates at Lambeth North (Lower Marsh). What’s odd is that when routes like 12, 53 & 453 are curtailed to Lambeth North, they terminate at the same stop as 76 depending on the direction they’re coming from and actually show Lambeth North. Not sure if I agree with this one, seeming as Lambeth North is only indirectly served in one direction, just before its terminus. I think ‘Waterloo’ being displayed more highlights the main national station that is served, than it does of where the route stands. Plus technically, it does set down underneath Waterloo station, at Lower Marsh. Moreover, the 76, ironically, itself does not stop at any stops that call ‘Lambeth North Station’. 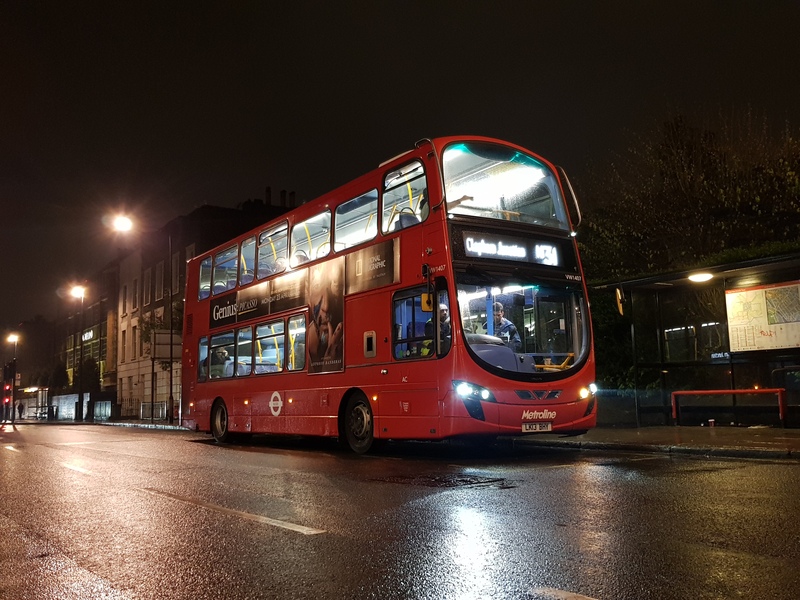 Years ago, ‘Baylis Road’ was used as a qualifier, however if TfL were to be more specific with the destinations around the Waterloo area, other routes like the 341 and 381 would also need their destination blinds to be altered. Although the 12 , 159, 453, 53 etc all display ‘Lambeth North’ when setting down there, most journeys are usually coming from the south, where Lambeth North station would’ve been served just prior to setting down. It’s the opposite of what the 76 does essentially. the 12 displays ‘Westminster Bridge Road’ instead of Lambeth North, when a non LT is used on the route. Which leads us nicely into the 108's display of Lewisham, Shopping Centre. When Lewisham gyratory was being constructed, all routes terminating at the station would terminate at the clock tower and proceed out of service to the new stand on Jerrard Street. Unfortunately it was decided that the 108 would not be fully reinstated to Lewisham Station (pick up & drop off), so displays the shopping centre blind to show where passengers can board the 108. - St James Street. So annoying you can get dropped off the station forecourt, South Grove or Blackhorse Road with this blind! IIRC the 230 was the only South Grove route to have this as a qualifier and not St James Street; I was hoping when CT Plus got the W19, it'd say Walthamstow South Grove but it didn't happen unfortunately. - Romford Market. I'd much prefer for the 370 to say Mercury Gardens instead to be more accurate. However I understand a route like the 370 trekking a vast swathe of the Essex countryside wanting to have 'straightforward' blinds & destinations so it's bearable I guess. The Main Road routes (174, 496, 498, 499) do show Romford Market if curtailed at Mercury Gardens, however do not come into contact with Romford Market; both in routing and as a curtailment. -East Ham, Lonsdale Avenue. Routes 101 & 474 display Beckton Alps for this turn; the 104 has flicked between showing that or East Ham, Greatfield Avenue and the 300 has only ever displayed Lonsdale Avenue. The 101 has in the past had a East Ham, Fire Station blind for this turn whilst at U, eons indeed. Blue Triangle's East Lancs had Lonsdale Avenue on when the 474 was extended to Manor Park. It's since stuck with Beckton Alps from every bus type thereafter. 27 Chalk Farm is a bit misleading. It doesn’t really leave Camden. Any route using White City snd terminating at Westfield should have Westfield as a qualifier. None of them go to the White City Estate, and Westfield is in Shepherds Bush anyway. Any blind using Town Centre does my head in, especially Croydon which has multiple places to terminate. Croydon is so complicated, it has many parts to the area such as South, West & East and Central so you can get confused as to where you need the bus to! Funily enough I was at West Croydon yesterday and couldn't decide if the 109 or 250 is quicker to Stretham Hill/Brixton so I gave up and walked to East Croydon and took the train back to Victoria. 25 Ilford is a bit plain where as when First Capital ran it used to say Ilford Hainault street also the W19 shows Ilford High Road Hainault Street bit too much information or precise at it were where as CT Plus' 309 I believe still shows Bethnal Green chest hospital even though it closed 5 years ago and the D3 buses have Bethnal Green Bonner Road , I don't know why tfl changed the blinds to just be vague seemed a bit of a backward step to be fair but some operators still order blinds with what they like on i.e CT Plus . 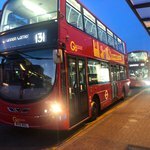 The 109 is quicker than the 250 as the 250 runs via Thornton Heath Station & Green Lane whereas the 109 follows the direct routing of the A23 but via heavy traffic - that said, my own preference is to grab a 468 to West Norwood/Tulse Hill & take the 2/415/432 as it can be quicker than taking a 109 or if only requiring Streatham, the 50. If your not familiar with Croydon, it can be very confusing as I found out when I first went to Croydon College but after 3 years, I knew the place like the back of my hand. Correct me if I’m wrong but most places outside London bar major town centres only have one terminus unlike in London where a place like Brixton has multiple places particularly as London areas are far more built up and have a far denser bus network. Outside of London, you are almost forced to learn your local routes due to different variations & the usually lower frequency - for me, I’d welcome the return of accurate destinations. Sorry to say it but you're wrong. Newcastle used to have 4 bus stations plus a whole load of cross city routes. In the days of Metro integration you had shedloads of services that departed only from suburban interchanges but you used the Metro to reach them. Now Newcastle has two bus stations plus cross city routes plus multiple and varied on street stands with loop workings. Sunderland used to have two bus stations. One was closed down due to redevelopment. Most services, bar cross town locals, went to the upgraded Park Lane interchange. Unfortunately traffic congestion has worsened journey times and in order to save money Stagecoach pulled all of the "E" services to South Shields out of the Interchange. If you want those routes having arrived at the Interchange you have to trek across the town centre. I found this to my cost last time I was there. Birmingham has no cross city centre services since pedestrianisation. Routes only run from satellite stopping points around the centre - you have to walk between them to change buses. There is next to no signposting of where to go for what buses. You're just assumed to know. Manchester has multiple stopping points across the City Centre. Bristol is similar with the bus station only really catering for inter-urban and coach services. Trying to cross Bristol is not easy and that's before you get to the shambles that are stop locations and frequencies. Leicester has two bus stations but not every route serves those bus stations. IIRC Centrebus city routes don't use either of them. For no great reason I was looking at Tamworth's bus services today - they don't all stop in one place either and very few serve the railway station. If you wanted to change between some routes you'd have to walk across the town centre. I won't go on because for every exception there are also places with a single bus station that all routes serve or a main street with a load of on street stops. However things are now a lot worse than prior to deregulation because there was no great commercial pressure to sell off bus stations and garages nor was there a battle of wits between councils (who owned bus stations) and operators over departure charges. You only need to look at what Stagecoach has done in many places to bus stations and bus garages to realise that property sale windfalls were more important than passenger convenience. Of course we are now headed in London to the worst practice seen outside - the removal of the 97 and 357 from Walthamstow Bus station is the first example. The Croydon town centre changes are the next set of "don't run to bus stations or across town centres" nonsense. I predict Harrow is next and there is a long list after that. It was very telling last night on my way home on the 97 that not a single person alighted or boarded at the new Bridge stop for the Central but there were 20 people waiting at the next stop along Hoe St. I assume those poor souls had to walk all the way through the bus station, down an alley, up the High St and then into Hoe Street to get their bus home. It was raining last night so they all got wet. In the past they'd have been under cover in the bus station. Can you tell I really HATE this change? There are indeed two bus stations but Centrebus routes do serve the bus station, for example the 22A with the Haymarket Bus Station and with the 128 serving the St Margaret’s Bus Station. 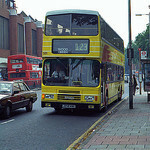 - 172 to Clarkenwell Green - Not necessarily vague, but this is incorrect now that the route no longer terminates there. It should now be 172 to Farringdon Street, Smithfield like the turns found on the 45 and 63. - 36 to New Cross Gate - If I remember correctly, the route would terminate at Sainsbury's, but part of the contract for GAL is to allow the route to terminate outside the garage. Could be confusing for people heading to New Cross Gate Station from Peckham side. Not to mention the other routes that also have the same destination name but terminate at other areas. - H9/H10 to Harrow - Why isn't this destination Harrow-on-the-hill instead? - 176 to Penge - Used to be Penge, Pawleyne Arms right? I’d like to put forward the 92’s ‘St. Raphael’s North’. Like what on earth is that meant to mean? Clearly has no resemblance to the Tesco/Brent Park it terminates at. The 332 finishes at the same stop as the 92 yet that has a MUCH better description. No doubt in my mind - Angel Road Superstores on 341s. What are passengers at Waterloo Station to make of that? If anything, they're probably inclined to think it's Islington bound. Nope, terminates at Snow Hill on Farringdon Street now then stands at Holborn Circus. Any bus showing "White City" - should show "White City bus station"
Up to the mid 90s they would have been accurate as the 'original' PM was located where the Morrisons complex is now. The bus station was a lot smaller on its forecourt.